Thallus: filamentous, forming tangled masses, to 50 cm long, generally shorter, brown-green, yellow-green, black-green to black-purple. 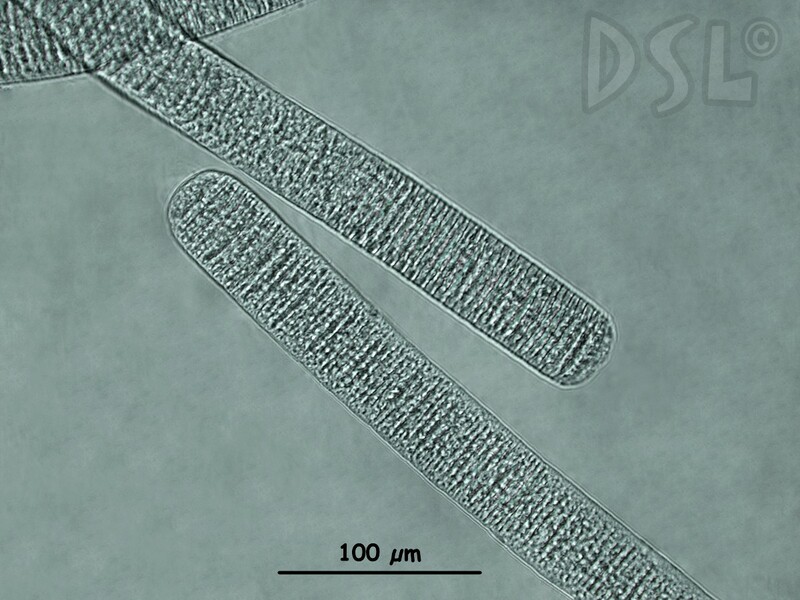 Trichomes long, straight or curved, rarely coiled, 30-90 Âµm diam. 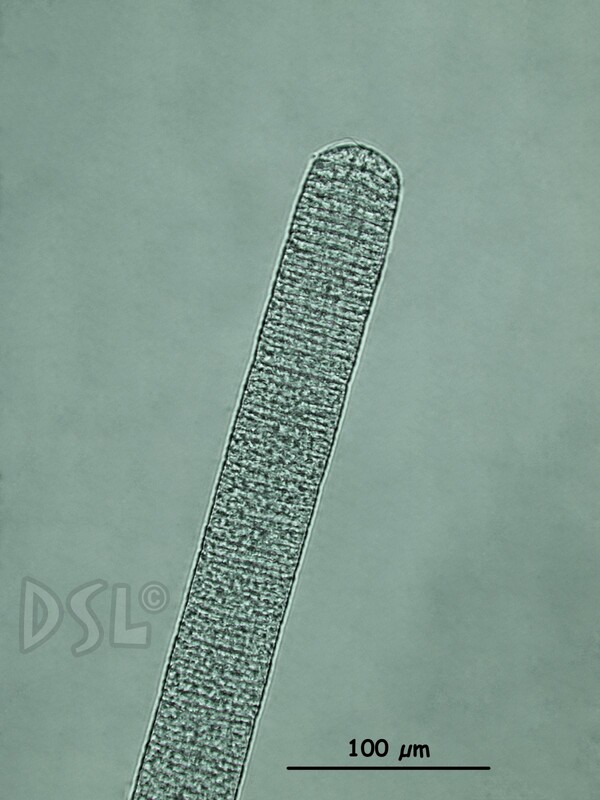 Cells disc-shaped, (16-)35-45(-80) Âµm diam., 2-4 Âµm long; not constricted at cross walls; end cell somewhat rounded or dome-shaped, not tapering, cap absent; cell contents finely granular, dull green, blue-green to gray. 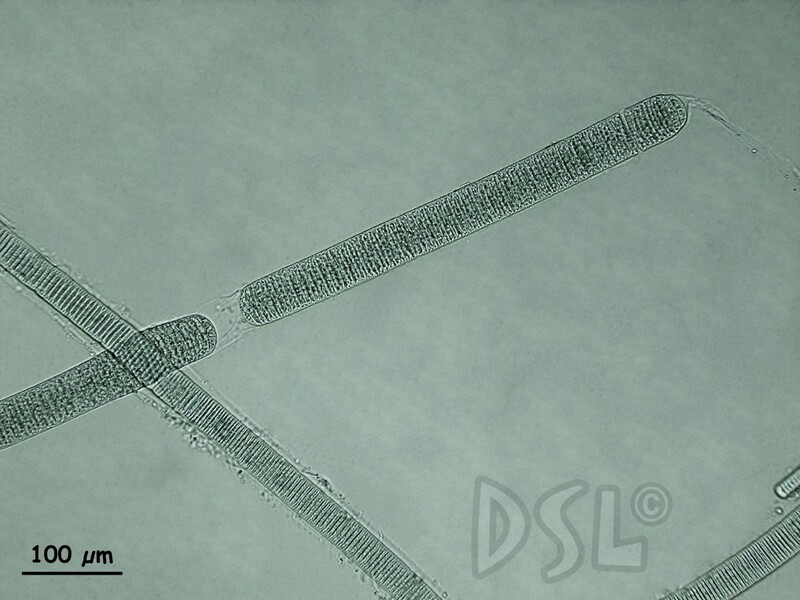 Sheaths layered, colorless, 4-11 Âµm thick. Heterocysts absent. 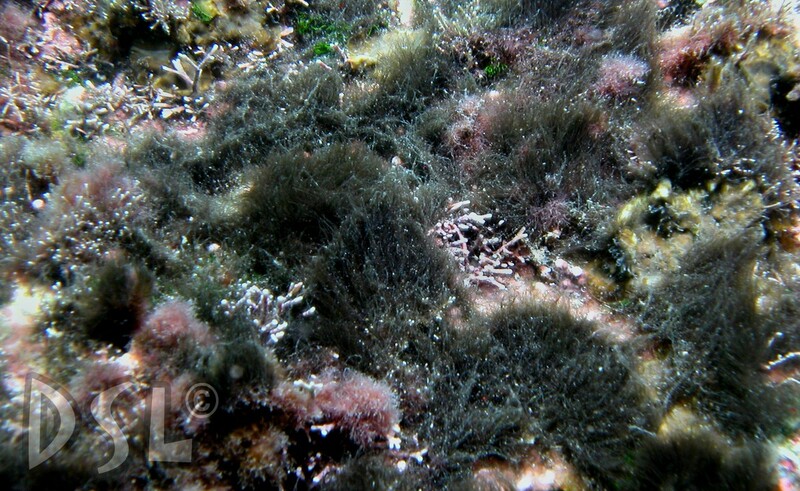 Common: initially epiphytic on seagrasses; most visible forming large mats in calm waters or unattached as free-floating, black, hair-like mats; poisonous to mammals; causing swimmer's itch reaction in humans; intertidal to 2 m deep. Pacific Mexico, Pacific Panama - New record for Panama.